Read the instructions (if available) for information about the cord’s correct use and the amount of power it draws when running. Never use extension cords to power appliances. Plug appliances directly into wall outlets. . 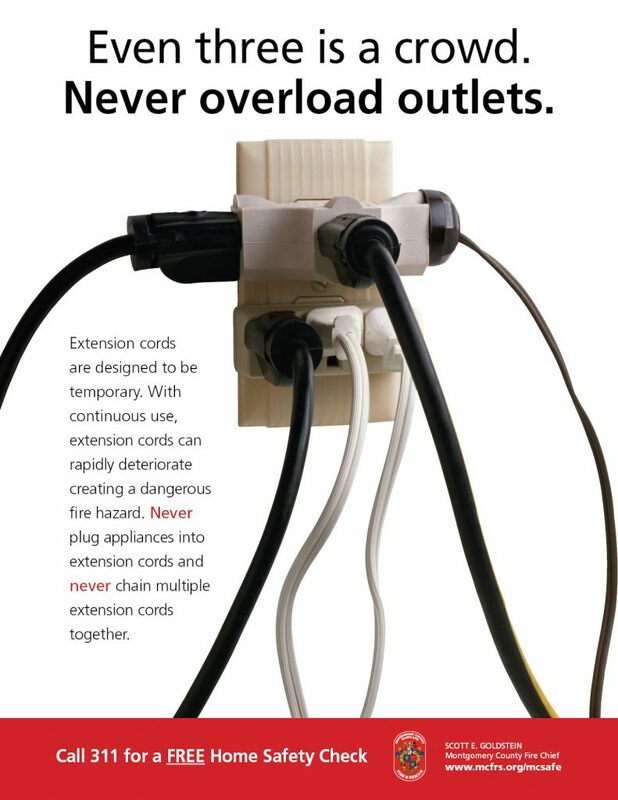 Immediately stop using extension cords that feel hot to the touch or show signs of deterioration. Consider covering unused cord receptacles with childproof covers. Note: the information in this article was obtained from various sources including State Farm Insurance. While it is believed to be reliable and accurate, we do not warrant the accuracy or reliability of the information. These suggestions are not a complete list of every loss control measure. The information is not intended to replace manuals or instructions provided by the manufacturer or the advice of a qualified professional.